I made a quick trip to Quilt Trends this morning to pick up the next clue for the mystery quilt. This time we are making half square triangle units with the squares that we cut at the start of the mystery. 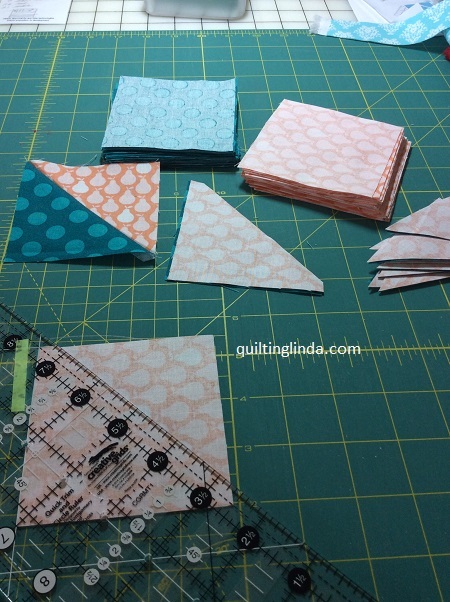 I was able to use my new ruler again to cut the squares in half with a quarter inch seam allowance. We made 48 squares with 48 bonus squares left over. I am loving this new ruler! This is not quilting related, but I wanted to share with you. Last evening Bob found a nest in our back yard next to but not under the pine tree. 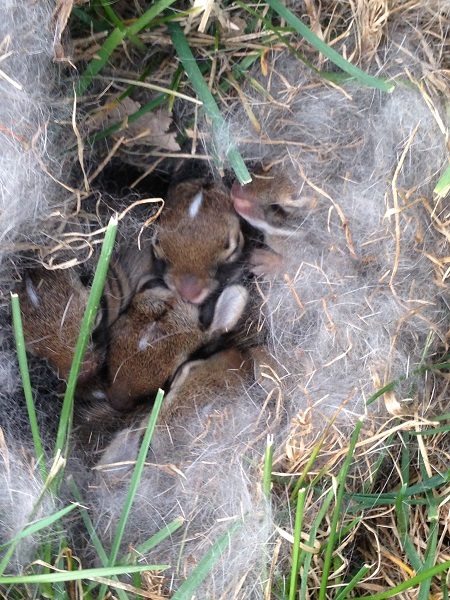 When we pulled the dried grass back we found a nest full of baby bunnies. Aren’t they cute? We covered them up again and hope their momma comes back to take care of them. Cute bunnies I have tried your little corner trick with one of my regular rulers set on the 1/4 in line, probably not as slick but it did work. I thought it was nice because I could use the foot with the edge guide that way…it never wants to travel on a drawn line over fabric.